The snow is melting, and the weather is warming. It’s finally warm enough to take your sports outdoors. However, before you run to the baseball diamond, basketball court, lacrosse field or trail, take a step back to avoid injuries. To have a smooth transition to spring sports, you should take precaution to stay safe and avoid injury for the season. From compression sleeves to braces, here are a few tips to help you prevent sport-related injuries or to manage them this spring. Off-season conditioning helps you to maintain endurance and strength, but if you’re transitioning from a different winter sport to a spring sport, your training may be a bit different. It’s important to take part in a training program that geared for your specific spring sport to help you strengthen the muscles and joints you’ll use during activity. Start slow and gradually increase your intensity and strength to help prevent injuries. If you’re coming back to a sport from an injury, it’s important to take the same approach. Gradual progression will help you regain strength and help you get back to performance shape. A warm-up and cool down may seem redundant, but it’s essential to help prevent injuries or re-injury. A warm-up gets your body ready to move for your specific sport, which helps to avoid muscle strains, or muscles pulls and more. A cool down helps you flush out lactic acid and helps the body recover from the activity. Winter months can cause divots, debris on the field or uneven surfaces. Before playing, look over the surface to take note if there is a hazard that could cause an injury like an ankle injury or knee injury. 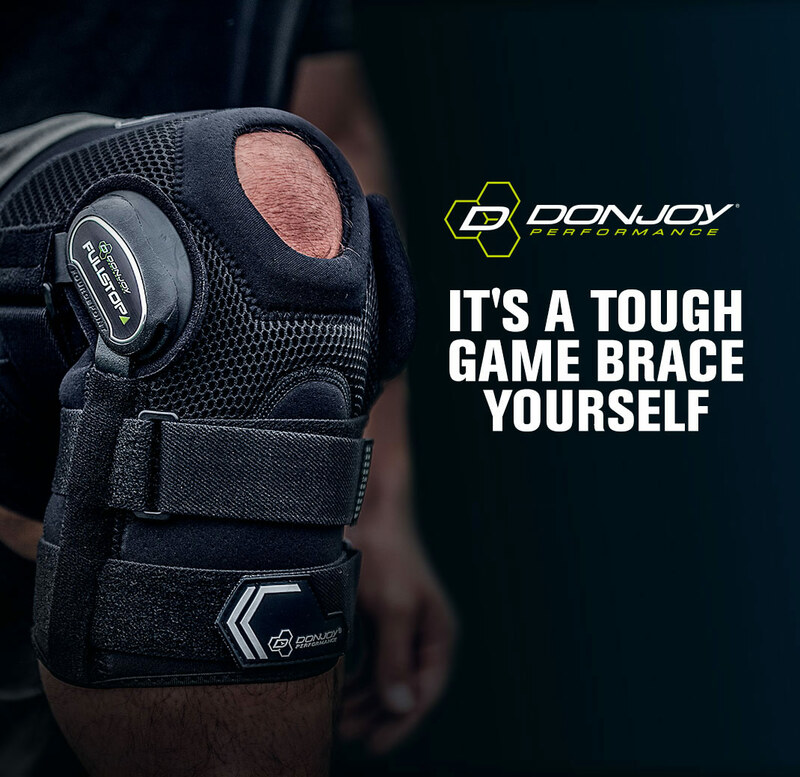 Whether you’re trying to prevent injuries or manage a previous injury, a DonJoy Performance brace or support can help you avoid injury. If you get injured during the spring season, a brace can help you manage the pain. Check with our bracing experts to help you find a brace, compression sleeve or support that will help you manage your injury.